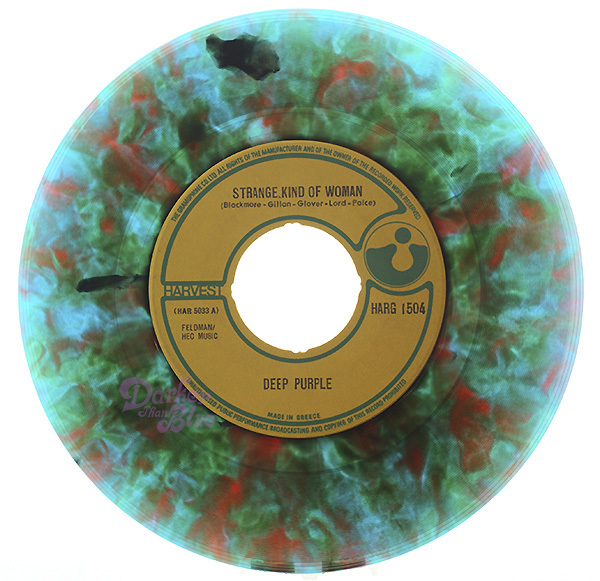 Pressed on multi-coloured flecked vinyl for a limited run. Copies with and without centre section seen. Later issued on black vinyl. Very rare. Thanks to George Constantini for the image. (See the Discoveries post on this for more information).